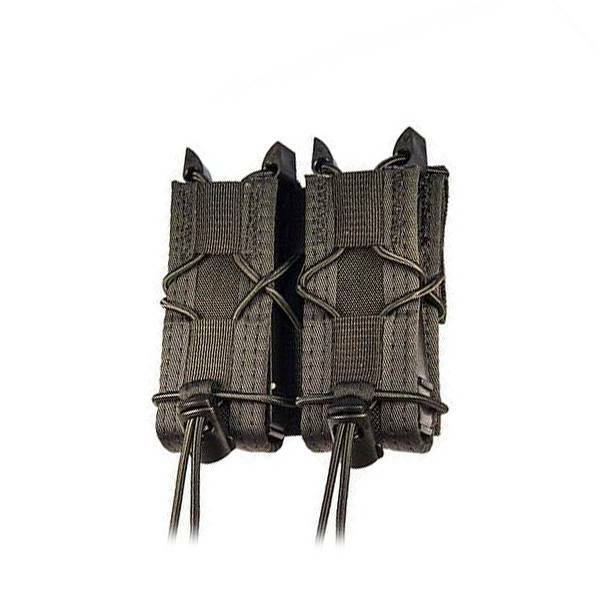 This versatile belt mount double mag pouch will hold almost any combination of pistol magazines and other equipment. Single stack or double stack, it makes no difference. 1911, HK 45, M9/Beretta 92, Glock, XD mags are all held securely and deployed easily and silently on demand.